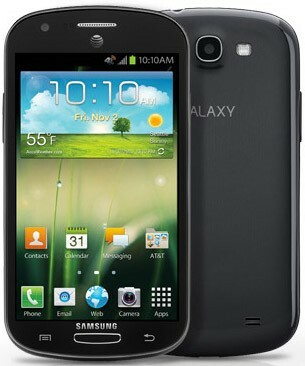 AT&T today announced that the Samsung Galaxy Express will reach AT&T's retail stores and web site beginning November 16. This mid-range Android smartphone runs Ice Cream Sandwich and includes a 4.5-inch Super AMOLED Plus display, 1.5GHz dual-core processor, 2,000mAh battery, NFC, memory card slot, and 5-megapixel camera. It will cost $99.99 with a new two-year contract. AT&T is also releasing the Liberate MIFi mobile hotspot on November 16. It will cost $49.99 with a new two-year agreement. It has a touch screen display and offers 11 hours of continuous LTE 4G connection time.